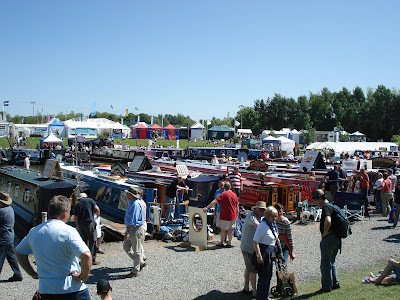 We've had two fantastic sunny days at the Crick Boat Show. It seemed quite busy with visitors, but there were fewer new boats on show than in previous years, and the land based area was also a bit smaller. Several of the boats I've tested over the past year were on show, including Caxton from Barnowl and Fizzical Attraction by Crown Narrowboats. It was also good to see this year's offerings from some of the other builders I've got to know, including Fernwood, Cauldon, and Reading. I also spoke to a few other builders about doing tests on their boats over the coming months.